One of the golden rules for a beautiful home is to keep it tidy! To be successful in creating a neat and organized space, you need to have enough storage space. If space is already an issue, you need to be a little creative and a little innovative, taking advantage of smart storage solutions! You may also need to use functional elements – such as the bed – for storage too! Today at homify we'll show you. We've put together 10 practical solutions for storage ideas! This type of bed is indispensable in the bedroom! 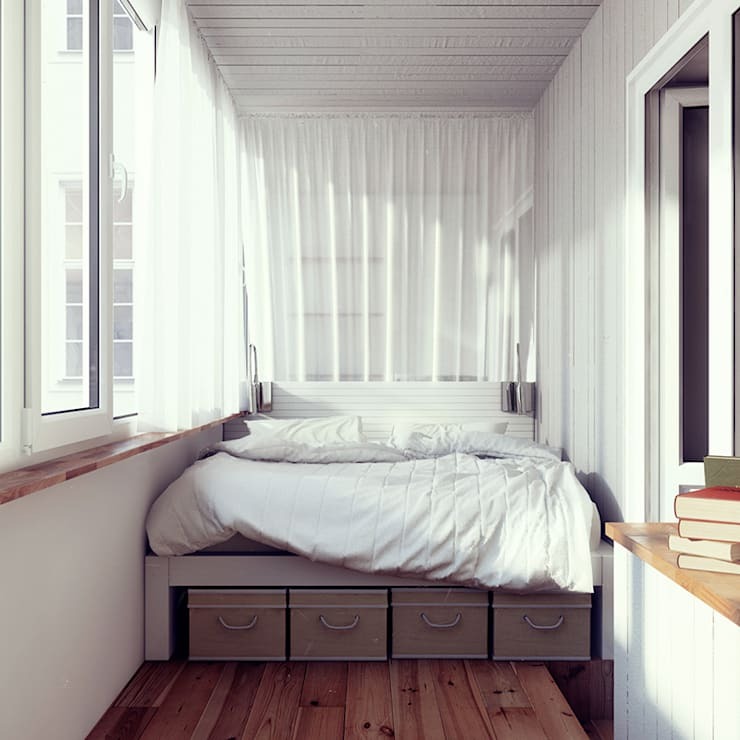 A comfortable bed is large and occupies a lot of floor space. So why not use it for storage too! Here we can see how accessible it is, while storing all sorts of items! If you can install a large closet near your bed, do it! Attached the walls of the room, it won't take up too much space. 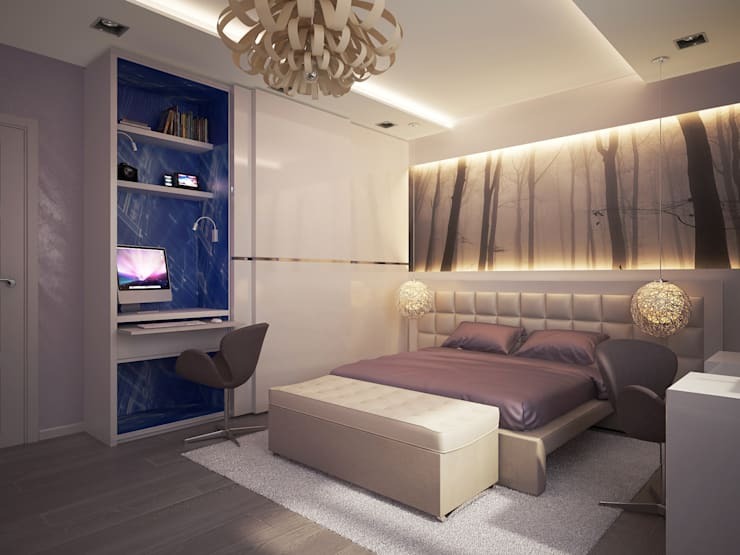 Use neutral colours so that it integrates flawlessly into your bedroom design. A headboard usually only has one function – decor and comfort. 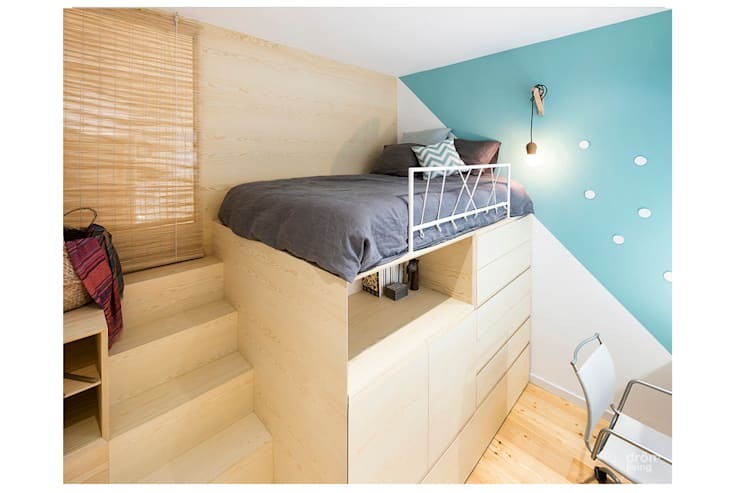 However a headboard can also have a third functionality: storage! Choose a headboard with shelves, drawers or cupboards. Here we come across a closet that is also a desk! This is an ingenious solution for those who occasionally want to use their desktop but want it to remain discreet. Recessed in the closet, the desk takes up no space! 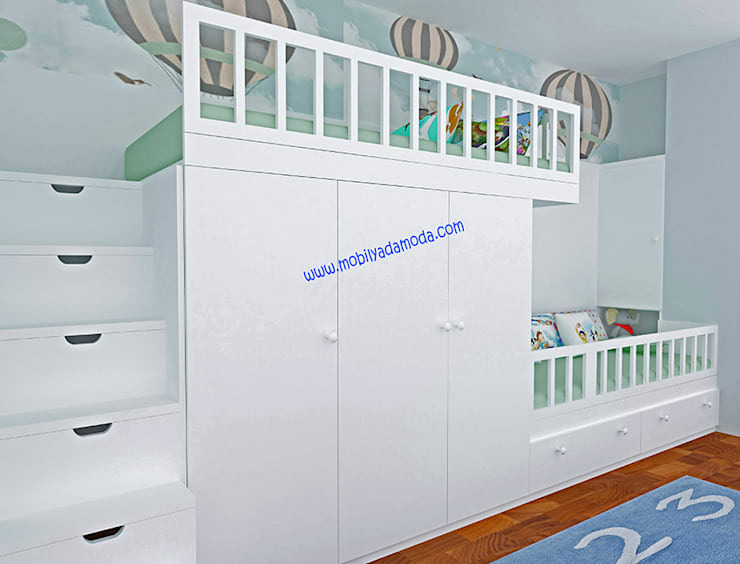 This furniture is ideal for children as it features two small beds, three drawers, a cupboard and more drawers in the stairs. This is imaginative and stylish! 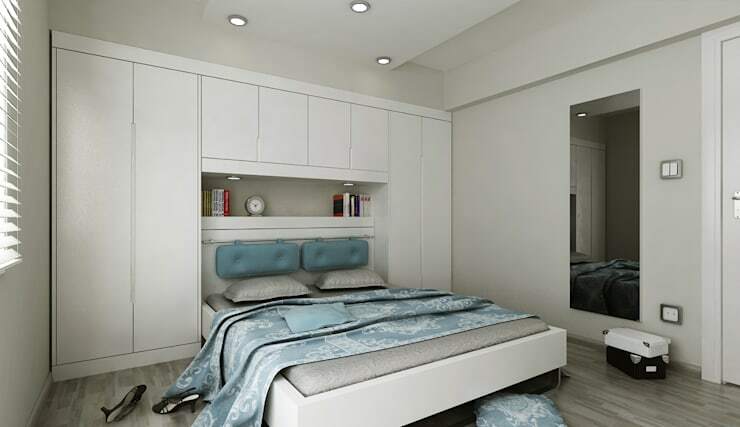 This white painted cupboard blends perfectly into the environment of this modern bedroom. If you are a fashionista, this is the type of closet that you need! The various compartments are made up of different sizes, allowing for plenty of room for clothes and accessories. 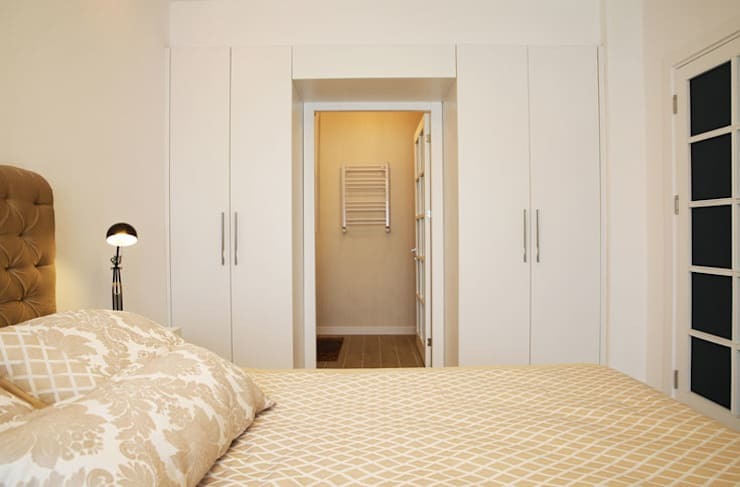 Sliding doors are essential if you want to save space too! Speaking of sliding doors, for a small space glass sliding doors can be incredibly functional! The glass will visually enlarge the room and make it seem brighter. 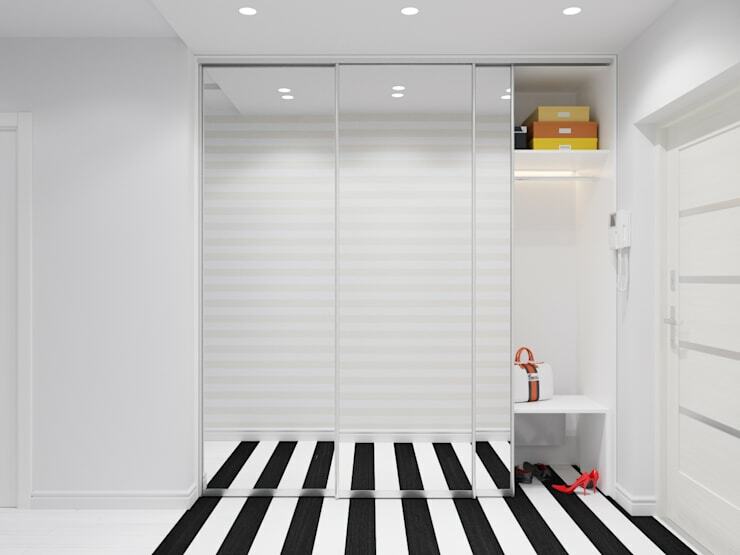 Have a look at this project for more inspiration: Save precious space in your home with these sliding doors. This high bed has a great advantage! It allows for storage solutions below it, including a desk or a closet. Have you ever seen vertical space utilized so flawlessly? 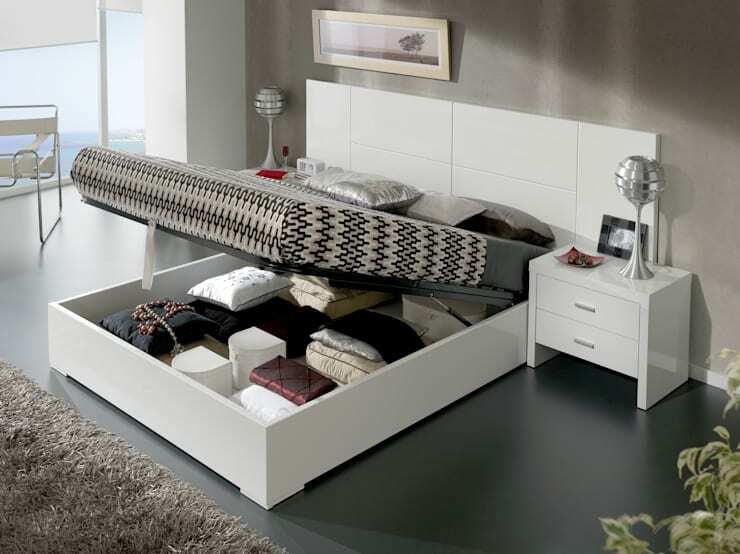 Here is another storage solution that can be integrated into your bed – drawers underneath it! Large and easily accessible, these large drawers allow for belongings to be stored neatly out of sight. Baskets are an affordable storage solution that are easy to integrate into your bedroom. Store them under your bed or on shelves.